Artists, collectors, trendsetters and tourists alike collided at the kick off of Art Dubai last night. I joined the crowd at one of Dubai's most established arts and culture events as it celebrates its tenth edition this year. Artworks ranged from Instagram favorite neon light installations to mixed medium masterpieces. With a knock out line up of artists and galleries, Art Dubai is perfect for the art enthusiast, those new to the arts scene, or anything in between. The global art fair is showcasing its most diverse line-up to date, bringing together ambitious projects spanning across 94 galleries from 40 countries, and 500 exhibiting artists representing 70 nationalities. “Art Dubai has come a long way over the past 10 years...” says Fair Director Antonia Carver, “Our programme is unlike any other, worldwide: we represent an artworld that is truly global, has huge potential, and our programme foregrounds artistic discovery, ideas-generation and culture exchange." 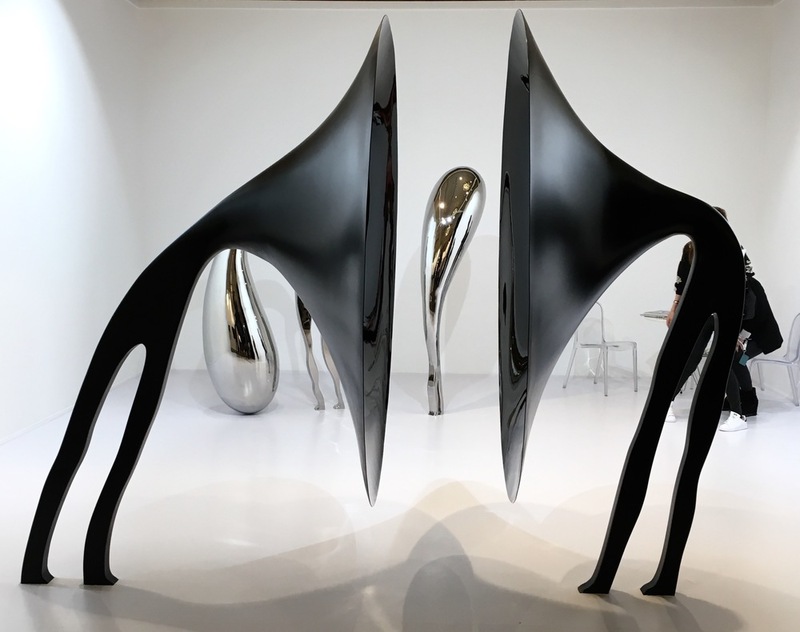 With Art Dubai in full swing and countless other art events on the radar this spring - this Dubai Art Season is sure to be a hit. Visit Art Dubai at Madinat Jumeirah until March 19. Art Dubai is held under the Patronage of His Highness Sheikh Mohammed bin Rashid Al Maktoum, Vice President and Prime Minister of the United Arab Emirates, Ruler of Dubai.